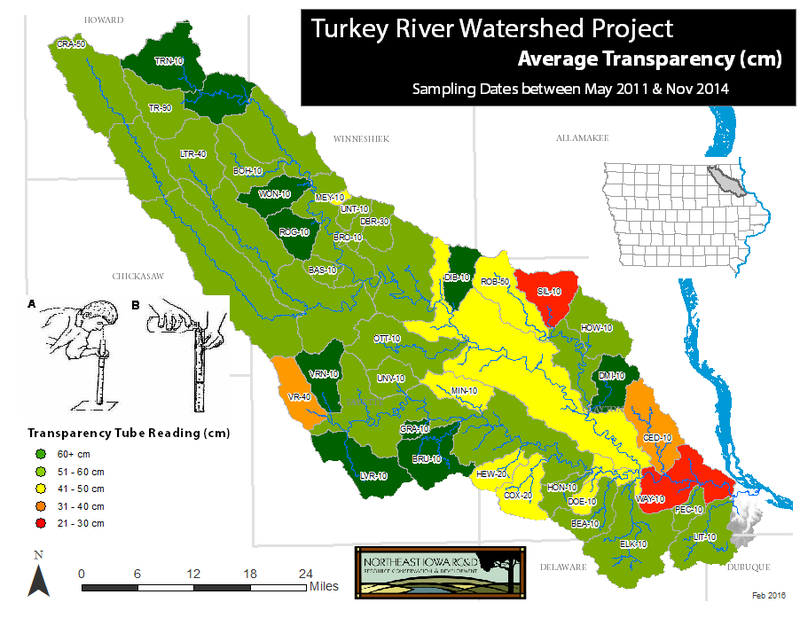 The Turkey River Watershed Alliance collects monthly water quality samples at 49 sites in the Turkey River Watershed. 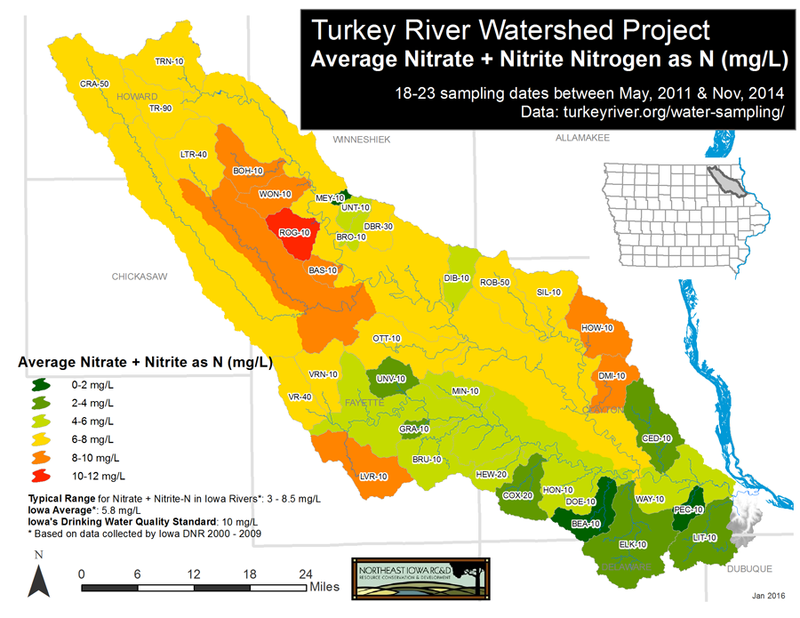 The maps below display the average value for each of the nine water quality parameters we look at. 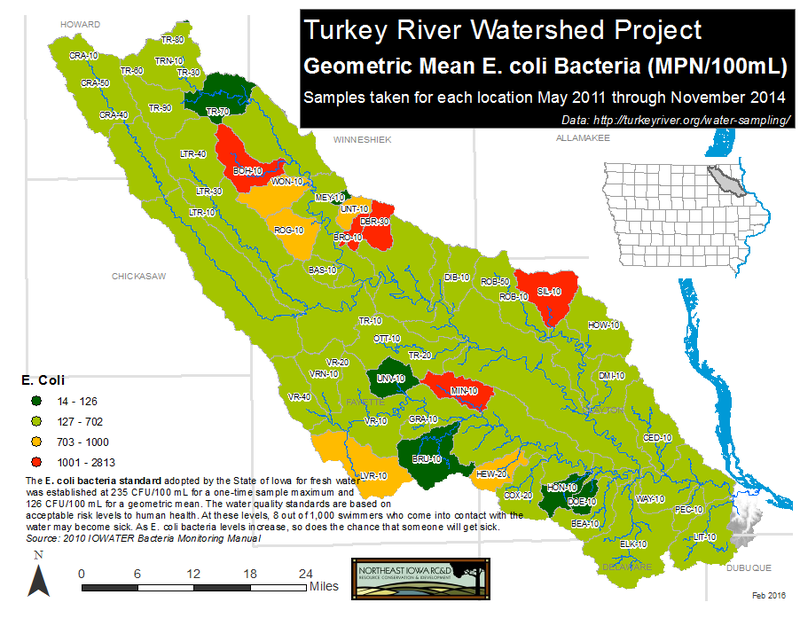 Individual sampling results are available on the water quality sampling page. 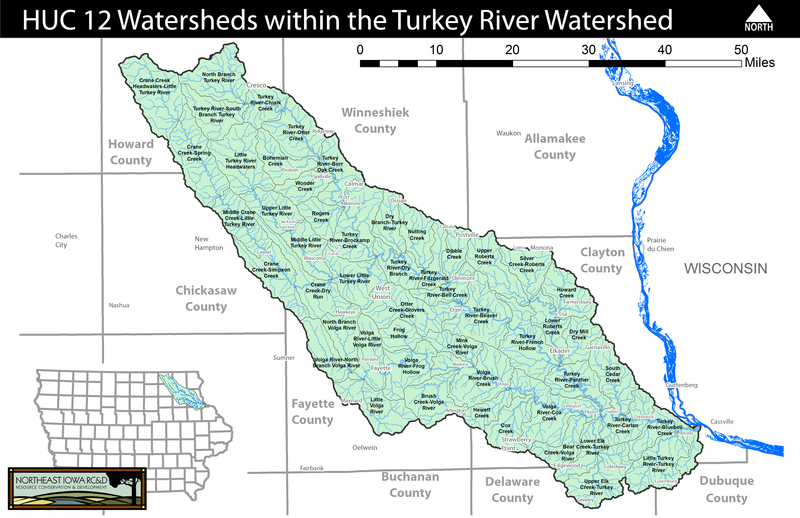 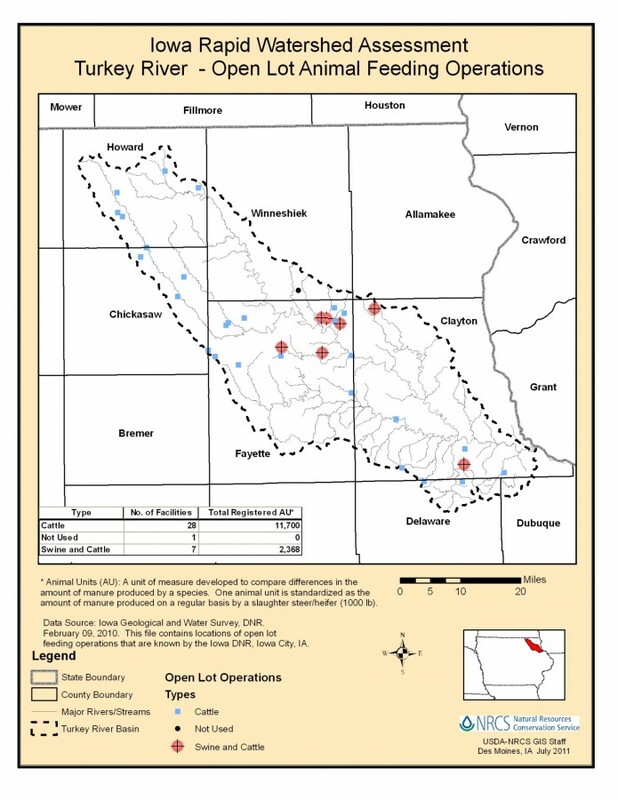 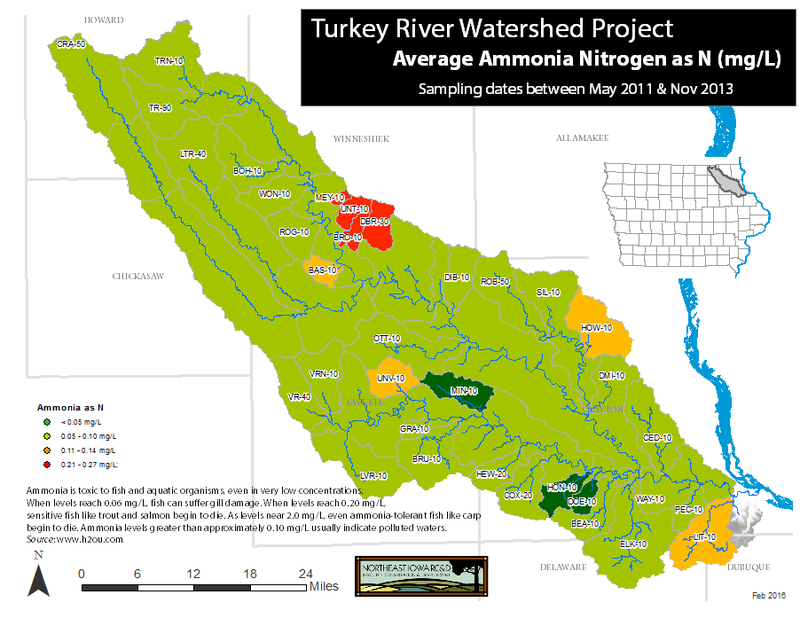 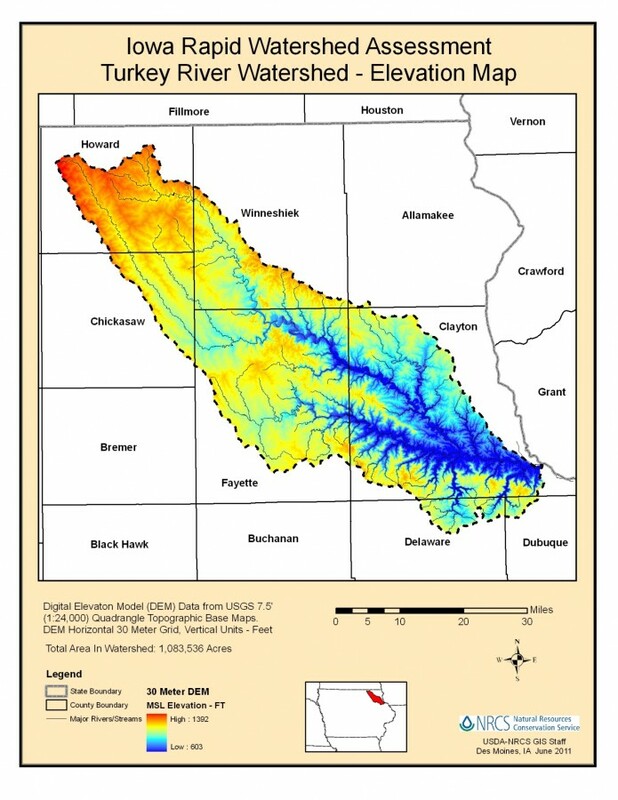 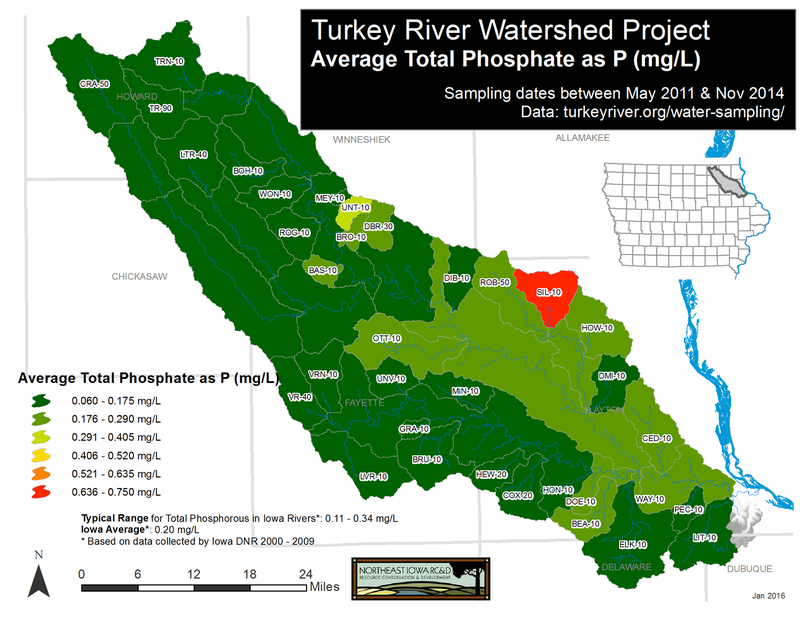 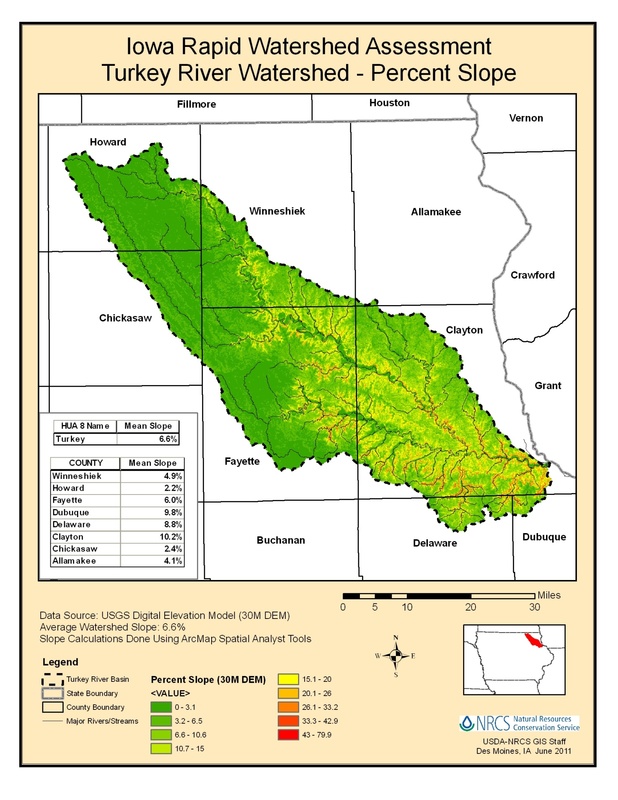 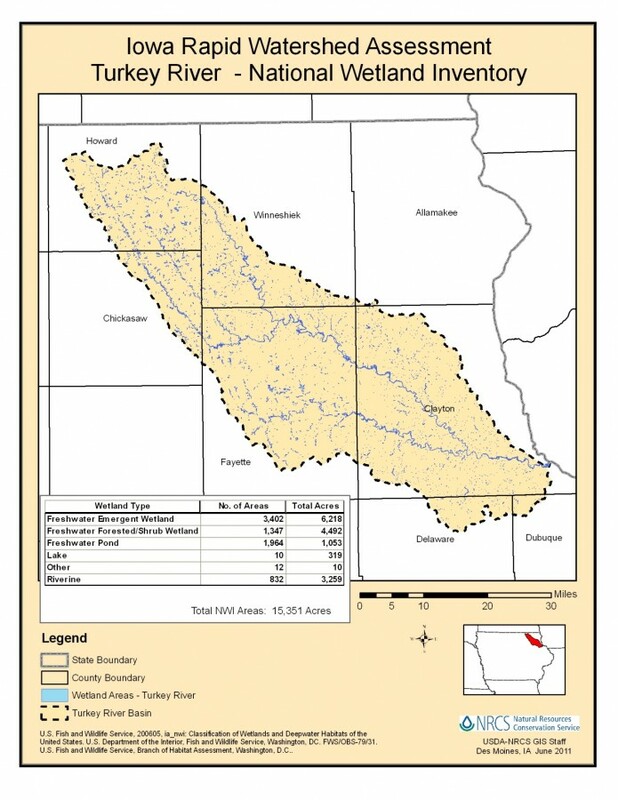 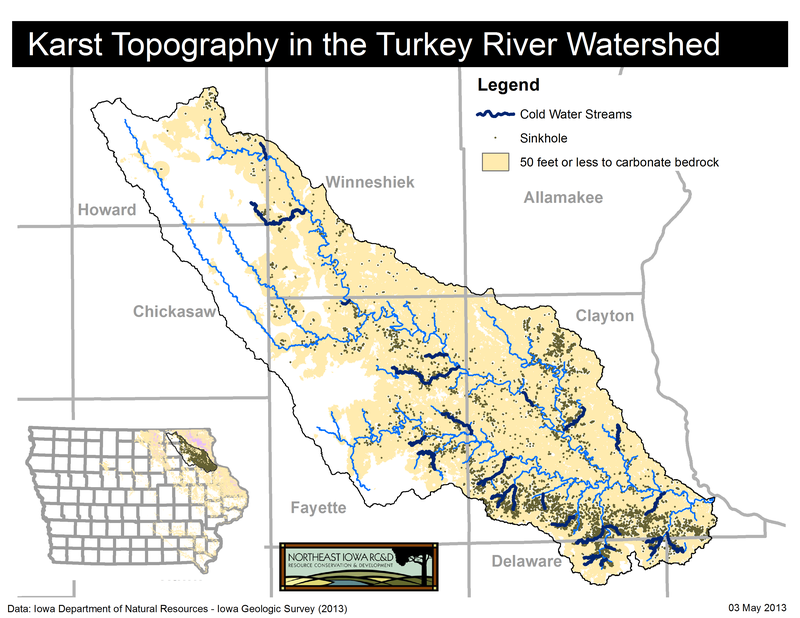 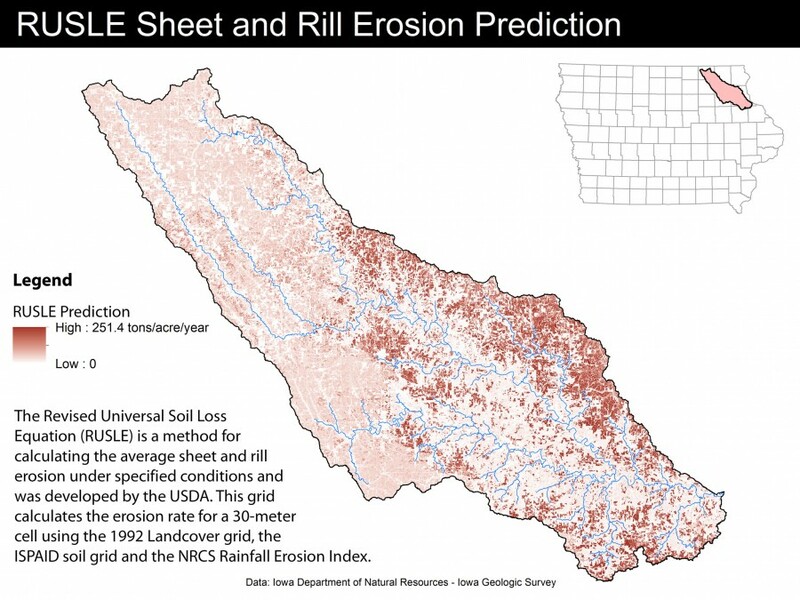 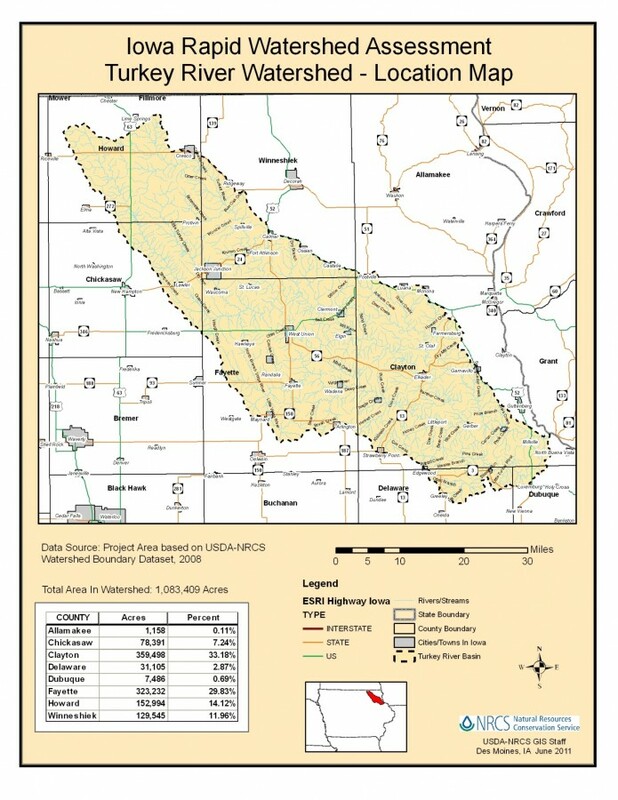 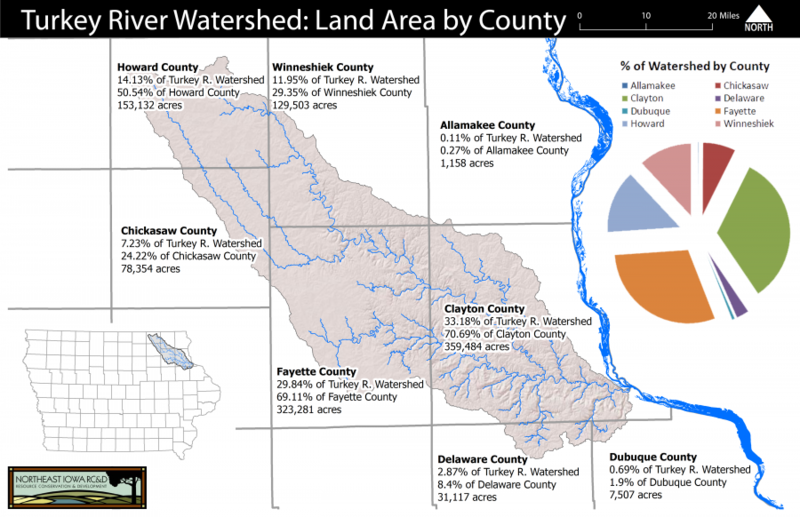 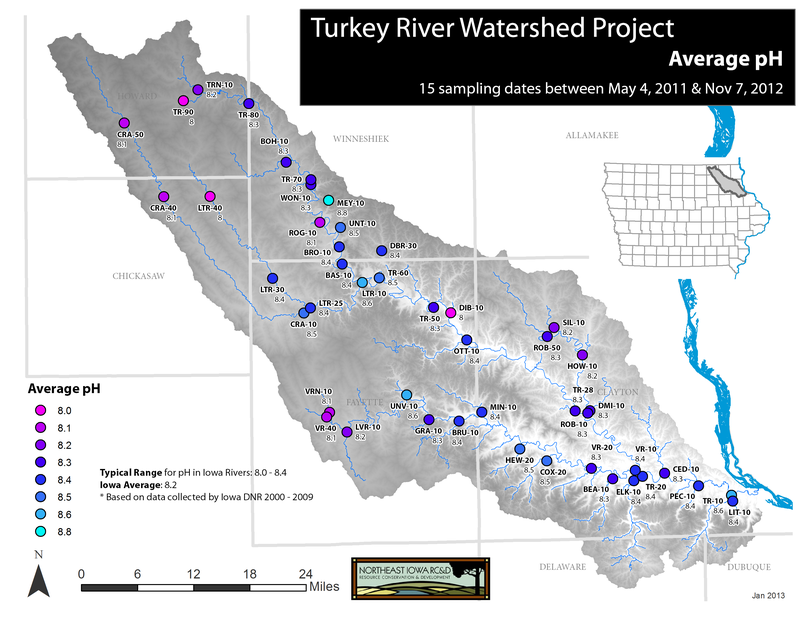 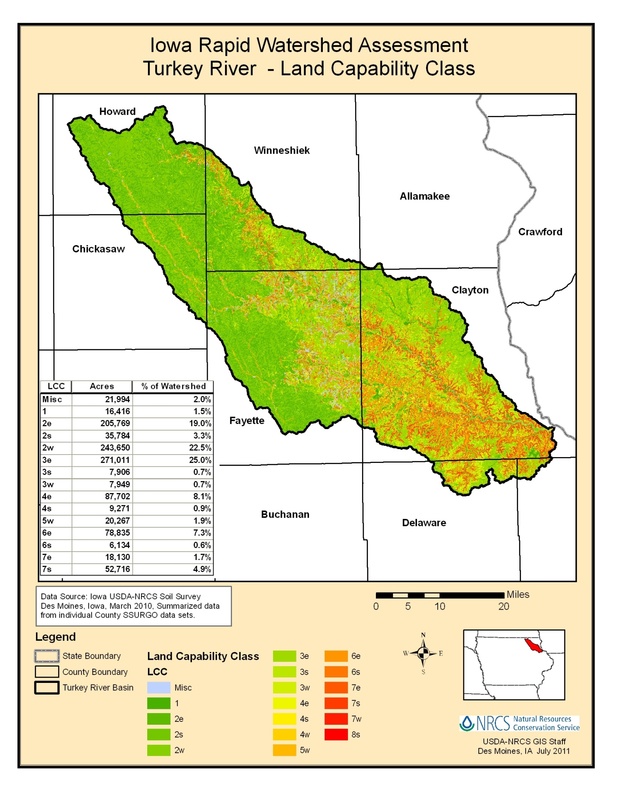 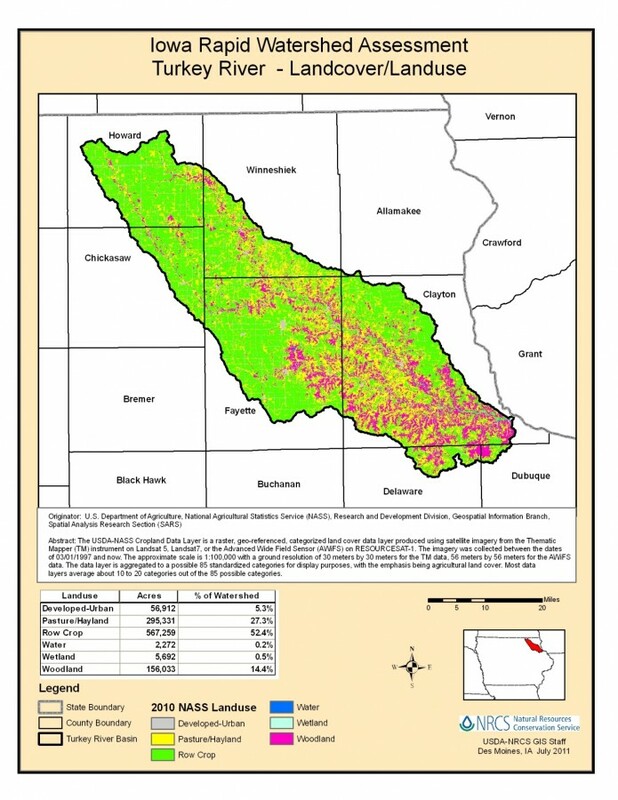 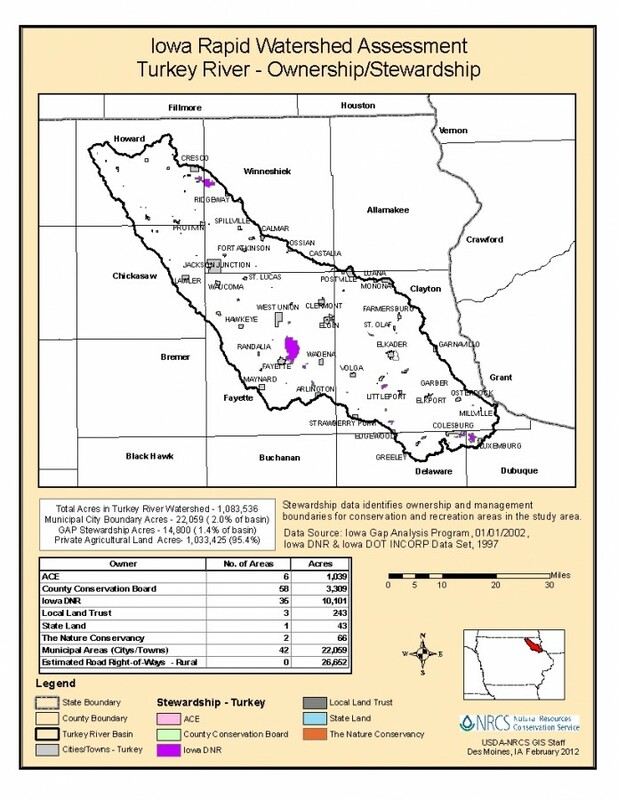 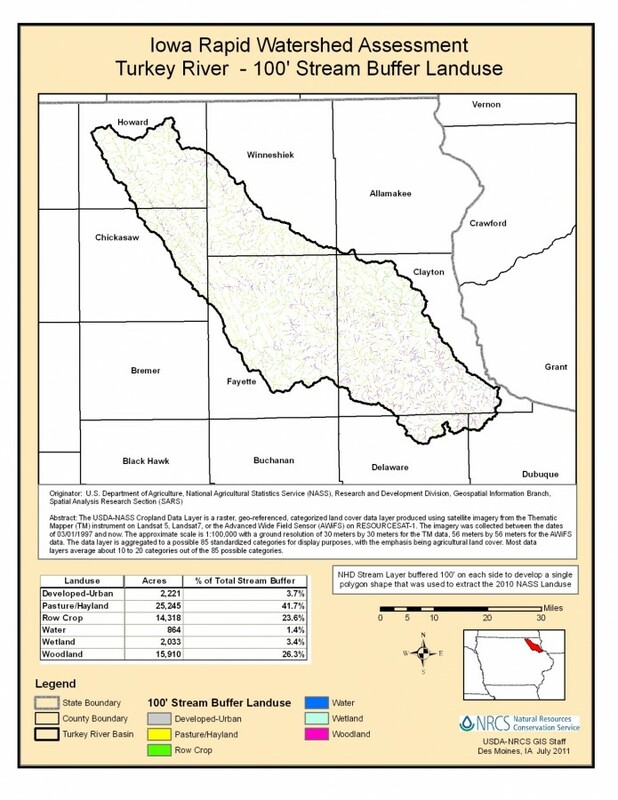 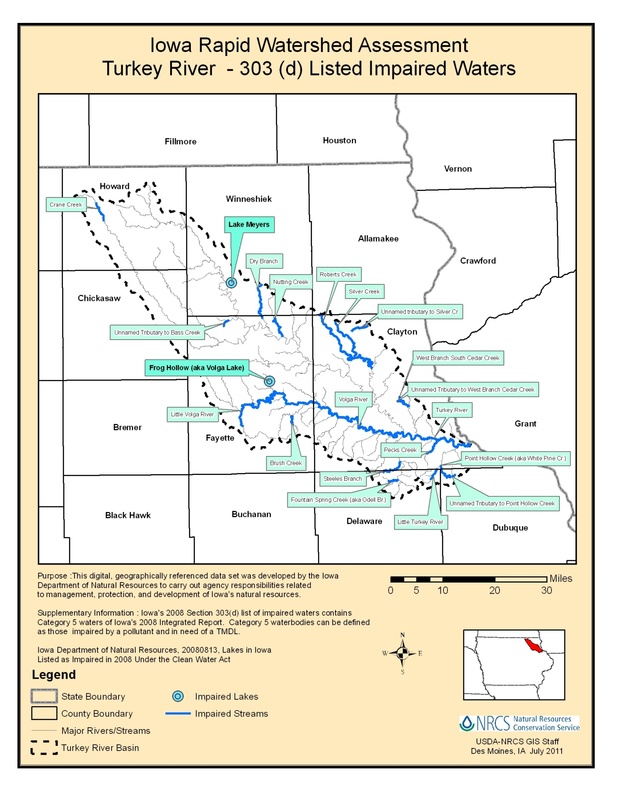 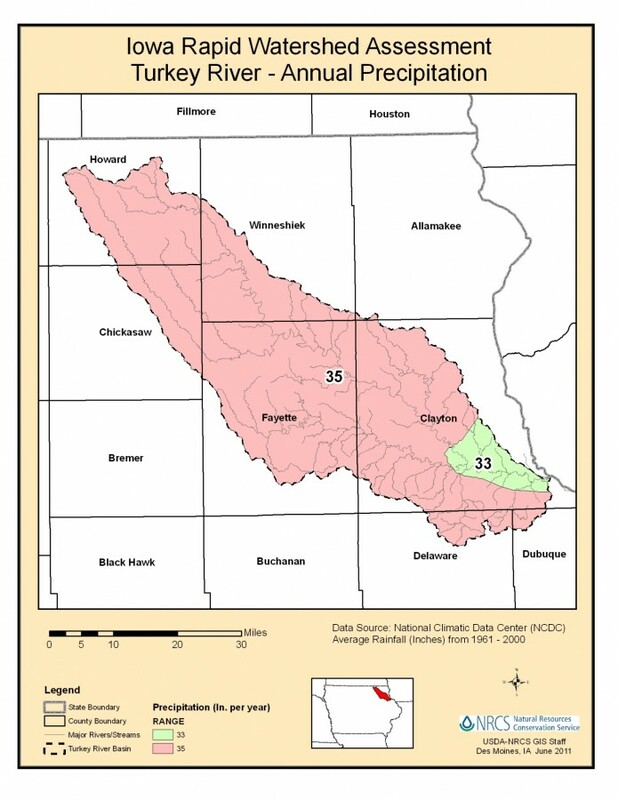 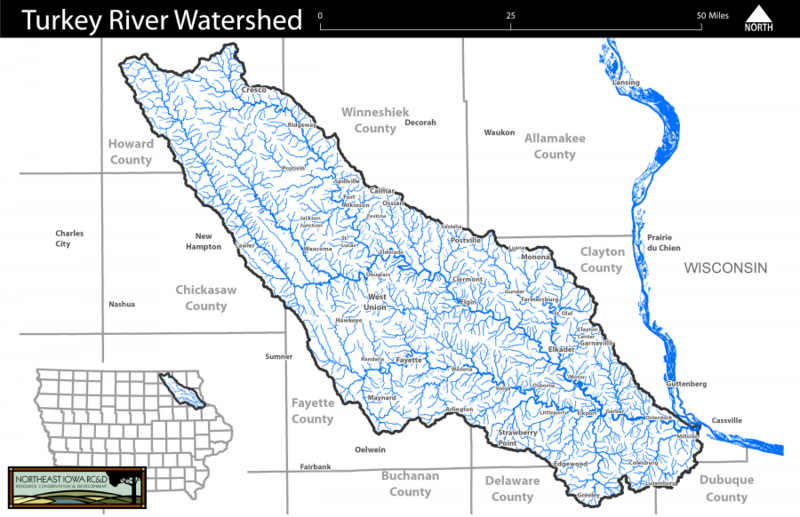 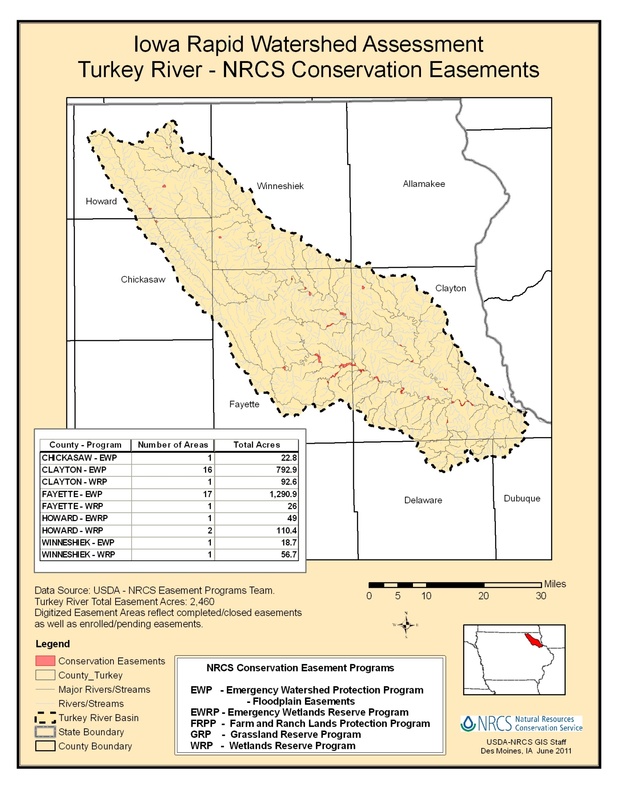 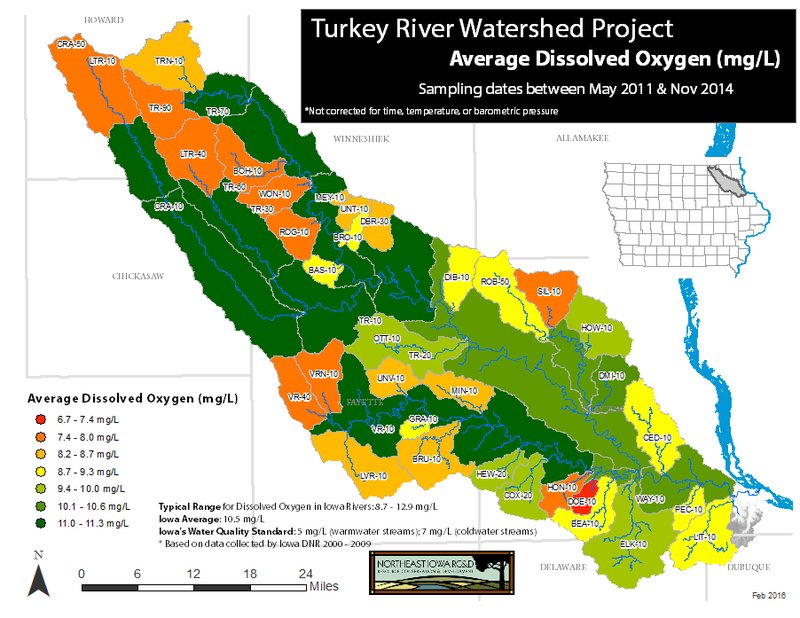 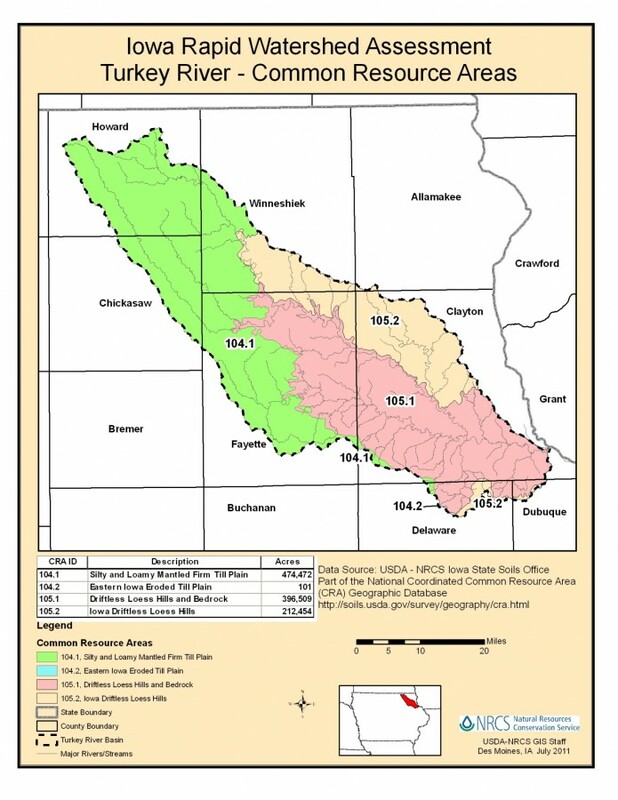 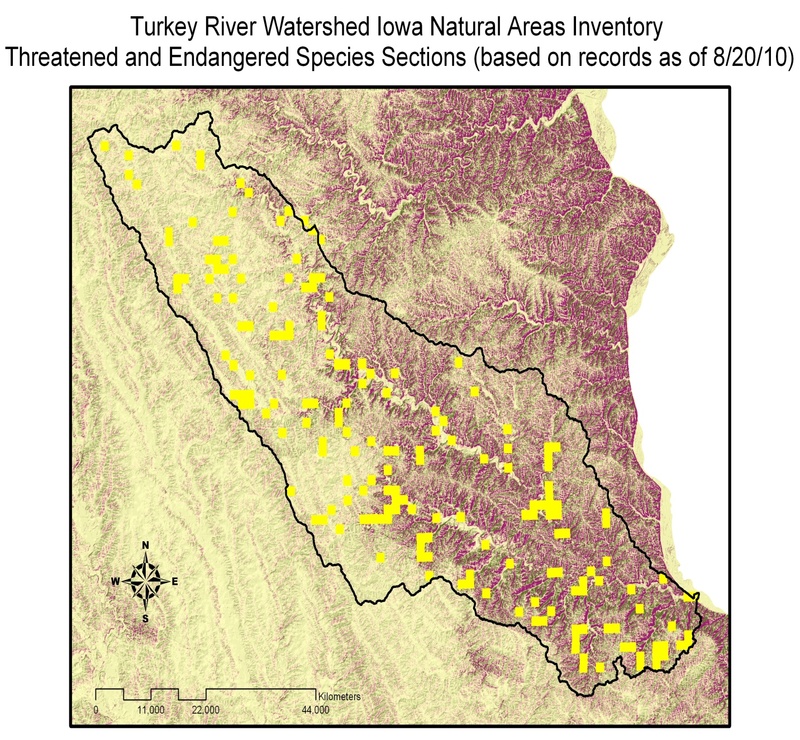 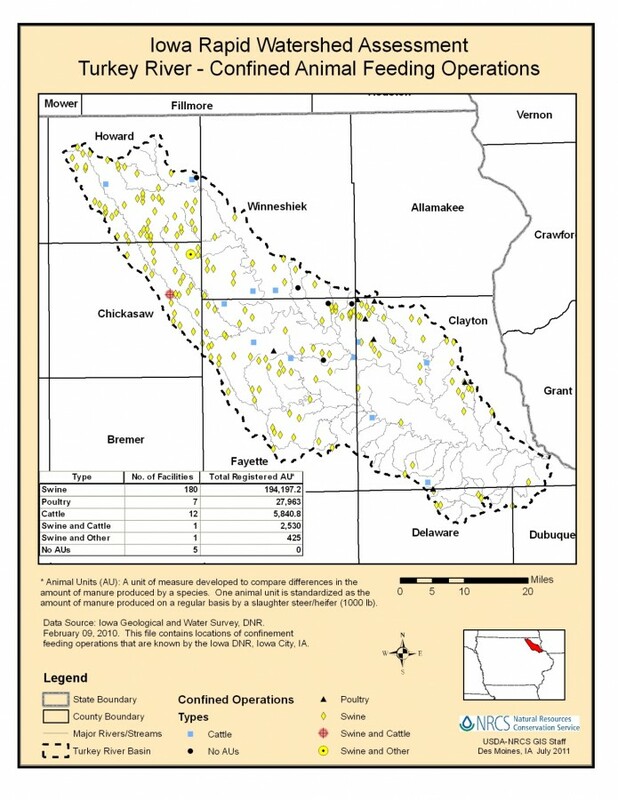 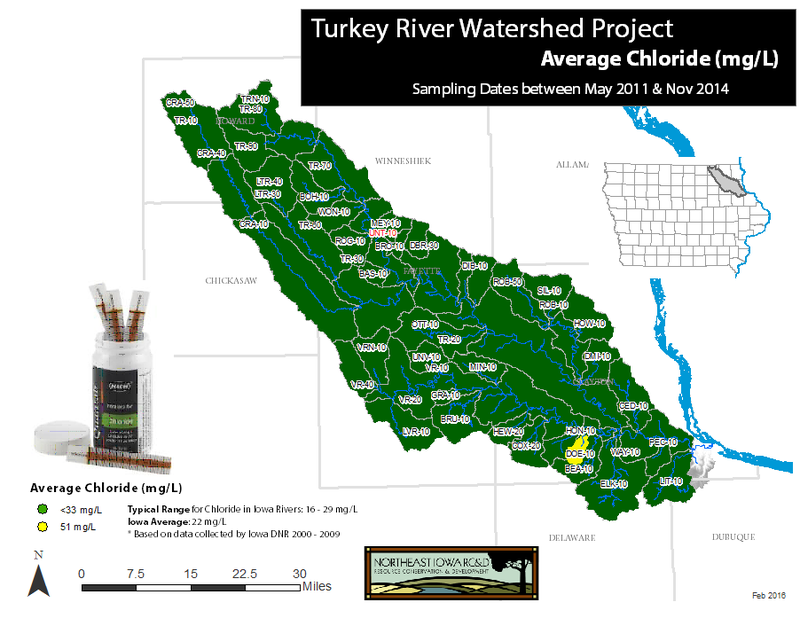 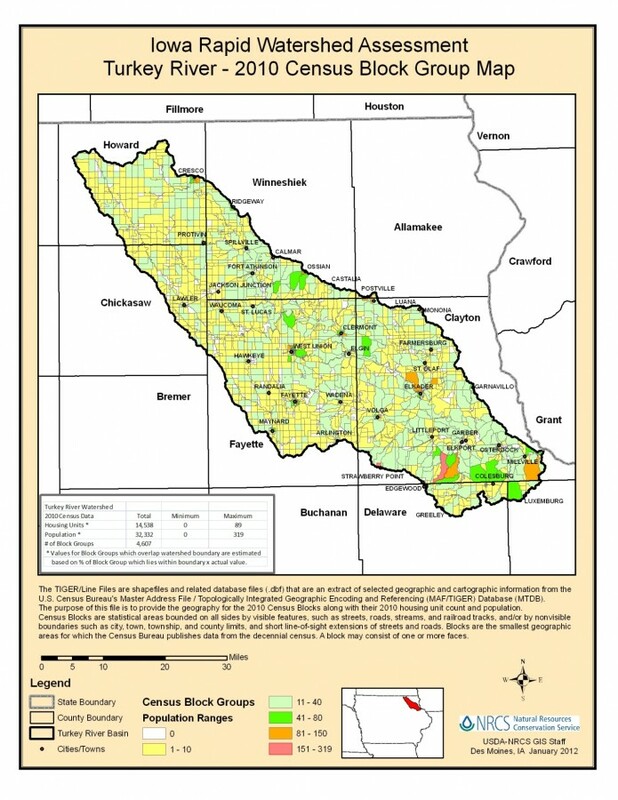 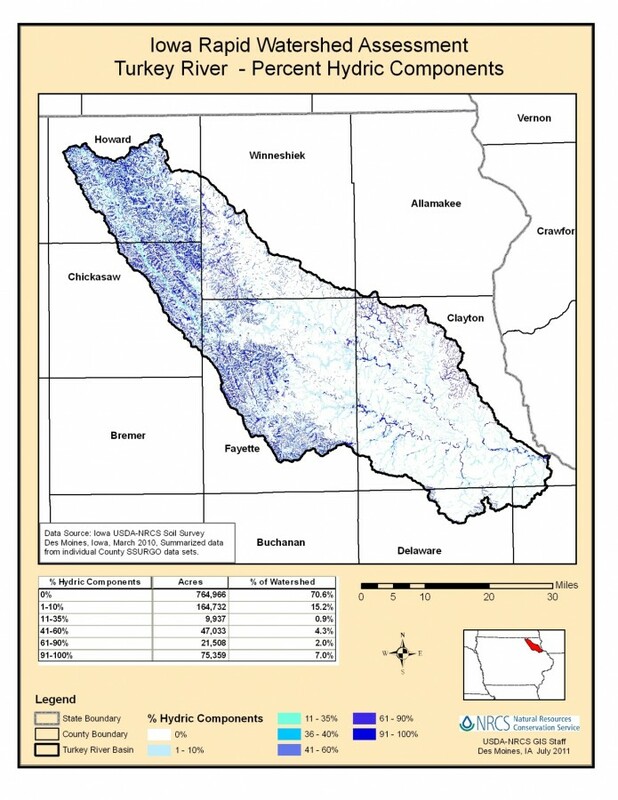 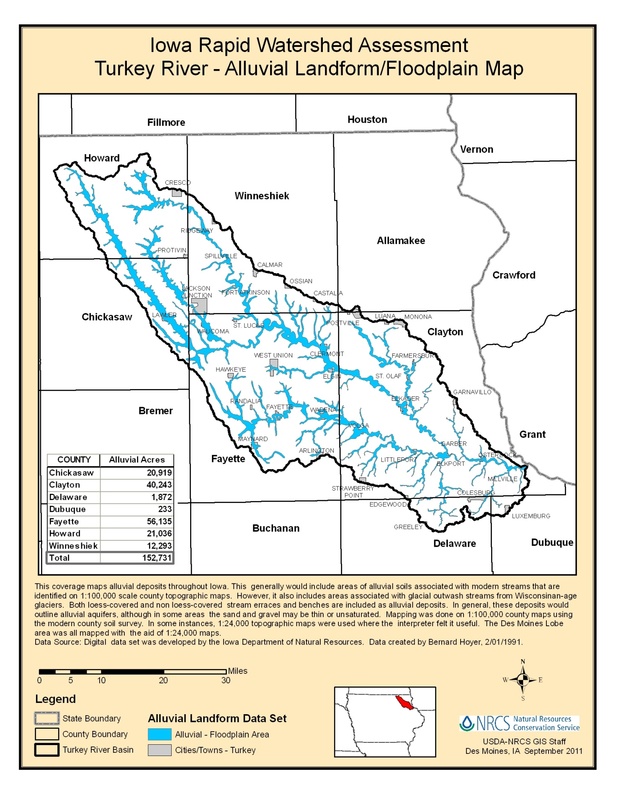 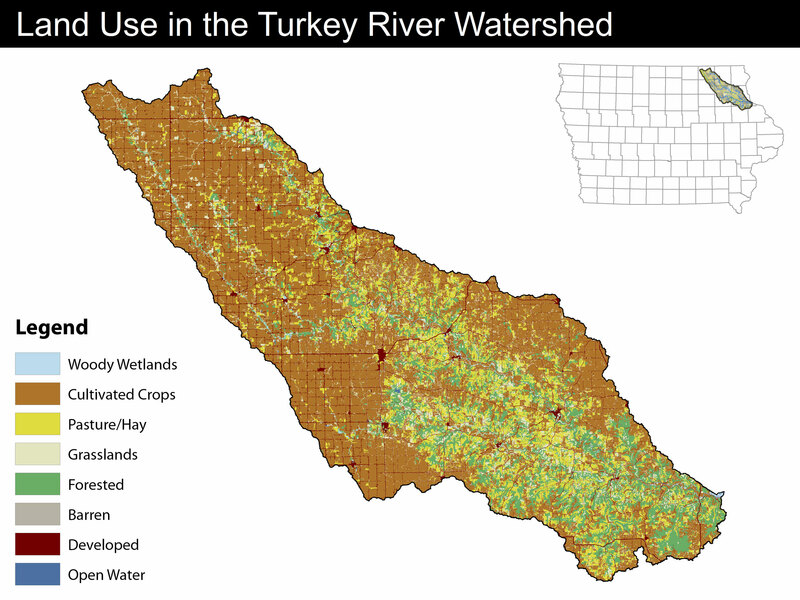 Iowa NRCS is developing a Rapid Watershed Assessment document for the Turkey River Watershed. 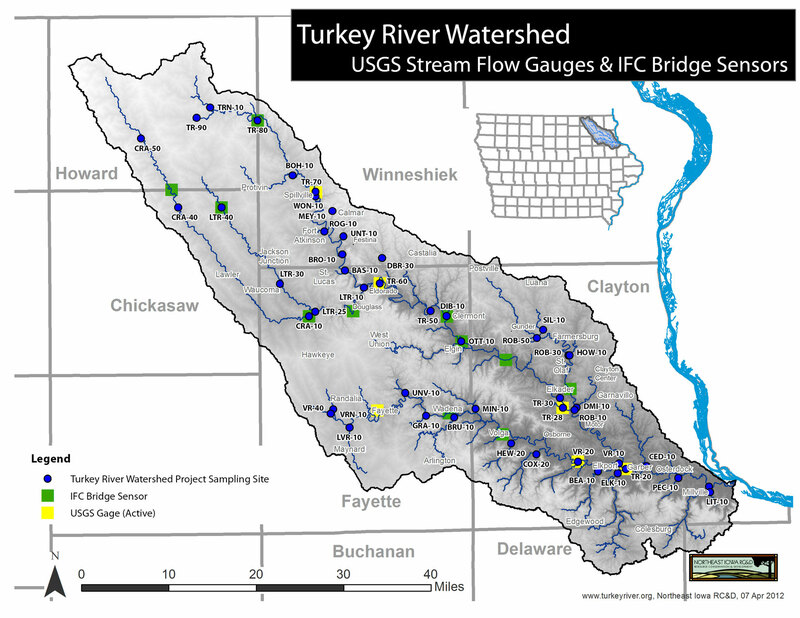 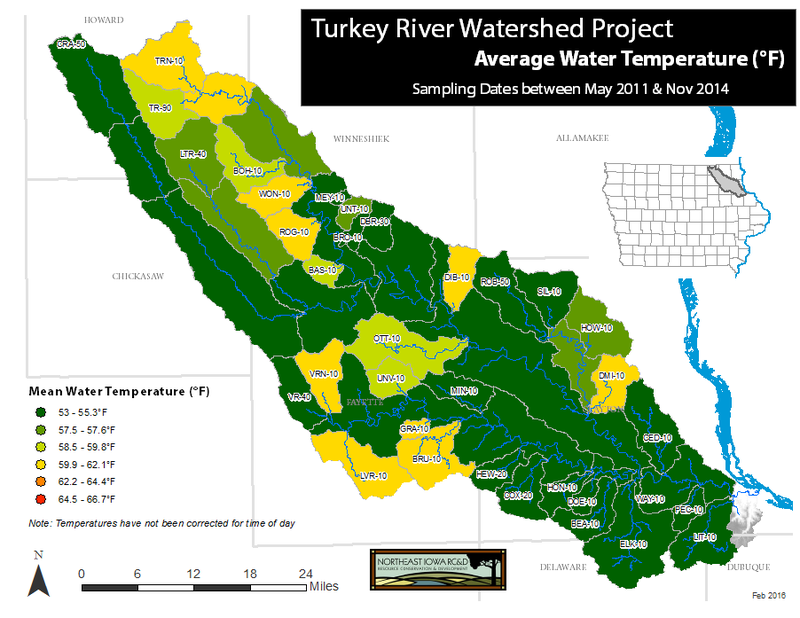 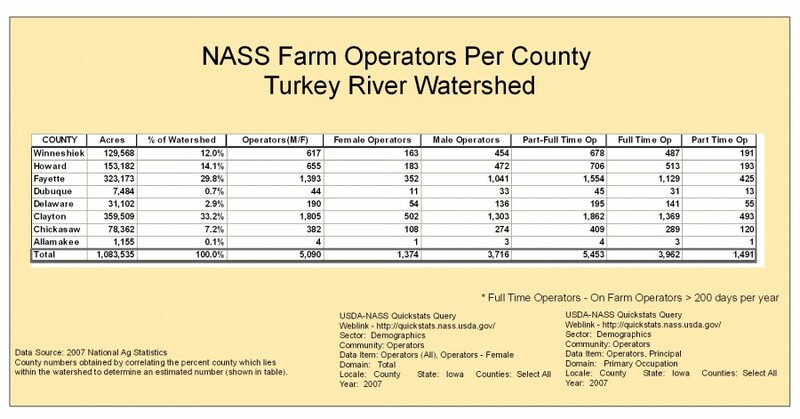 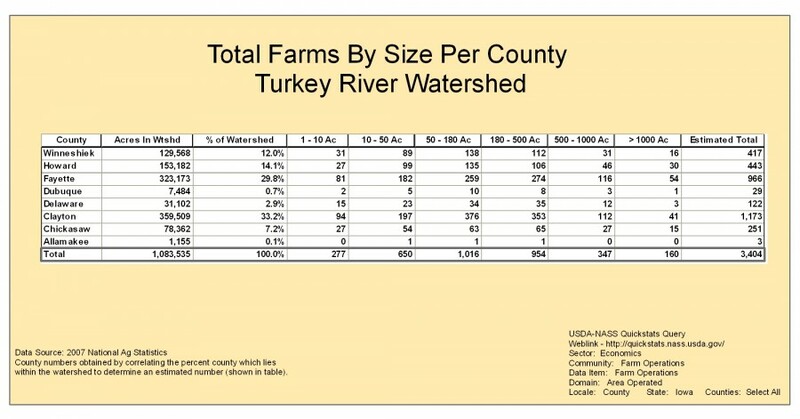 This document provides a natural resource snapshot and overview of an 8-digit Hydrologic Unit Code (HUC-8) watershed, such as the Turkey. This document provides local leaders with a tool that can be used to identify conservation opportunities and direct technical and financial resources to the appropriate sub basins.